Positive The Washington Post The heroine of Val McDermid’s new novel is a wee bit of a crank ... Jessica Fletcher of Cabot Cove, Pirie isn’t ... It’s time that mystery writers noticed Europe’s newest arrivals [the Syrian refugees], whose lives are filled with a degree of suspense none of them ever wanted or deserved. Almost in passing, Broken Ground is revelatory in that regard. Mixed The Washington Post The first five gunshots ring out in a mall restaurant in suburban Savannah, Ga., where a deranged young man murders his girlfriend and her mother. Laura Oliver...and her daughter, Andy, are enjoying a chatty lunch nearby ... suddenly Laura is out of her chair, dispatching the maniac with a couple of deft moves that leave him on the floor, spouting blood from a fatal neck wound. An astonished Andy wonders, where did that come from? Does she really know her mother at all? As it happens, hardly ... Though the novel lacks some of the twists and surprises Slaughter’s readers have come to expect, and at times feels repetitious and padded, the characters keep you involved all the way..., slaughter has sometimes been criticized, including by me, for excessive blood and gore. In this novel the bloody mayhem just feels, unfortunately, like a slice of contemporary American life. Mixed Philadelphia Inquirer ...In Pieces of Her. The portrayals of Laura and Andy are as dense and complicated as the storyline. Andy is an especially winning creation, a decent-hearted but insecure young woman who works as a 911 police dispatcher. Getting wrapped up in her mother\'s dangerous world finally gives Andy a chance to prove herself as a confident and self-possessed grown-up. Watching Andy grow – and worrying about her survival – is one of the most gratifying aspects of the novel ... Although the novel lacks some of the twists and surprises Slaughter\'s readers have come to expect, and at times feels repetitious and padded, the characters keep you involved all the way, as does the vivid writing. Positive Washington Post You have to wonder if Nir Hezroni’s consistently unsettling novel Last Instructions — about a rogue former Israeli intelligence agent bent on revenge — isn’t a little bit autobiographical. Hezroni worked in military intelligence before launching a high-tech career in Tel Aviv. And his portrayal of the Mossad — he just calls it the \'Organization\' — reads as if some major score-settling is going on. Whatever the author’s motivation, his depiction of a spy agency run by bumbling, amoral fools isn’t going to be good for the brand ... The Bernoulli project, as the Organization calls it, is set in motion after a post-Soviet Union nuclear warhead in Kazakhstan goes missing and Israeli intelligence concludes that Iran has a bead on it. One of 12 scientists meeting in Switzerland knows where the nuke has been stashed, so the Organization, playing it safe, chooses to kill all 12. A group of assassins is programmed through \'transformations\' in their brain chemistry to carry out the hits. 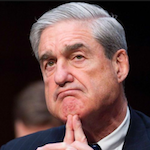 One of them, Agent 10483, is inadvertently — or maybe on purpose — assigned three targets ... It’s worth making your way past the novel’s shakier elements to get to Hezroni’s big finish, a serving of dark comedy confirming that if this is how the defense establishment is going to keep us safe, we’re all in trouble. 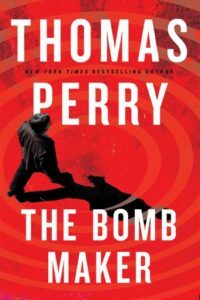 Mixed The Washington Post Readers of Thomas Perry’s new thriller, The Bomb Maker, will practically have earned Ph.Ds in sophisticated explosive-making techniques before finishing this tale of a mad bomber on the rampage in Los Angeles. It’s fascinating, sinister stuff — and Perry’s depraved mastermind is all too creepily believable ... [Perry] adeptly plays on our awareness of public-place terrorist bombings, creating an atmosphere of anxiety and dread. Despite several holes in the plot, you’ll keep flipping the pages, ever fearful of what bloody horror will strike unlucky L.A. next ... Despite its shortcomings — I have a list of five major plot holes — The Bomb Maker does one thing very well. Plainly well-researched, it makes graphically real the dangers faced by American urban bomb squads in an era when they could be called into service any day. Rave The Washington Post To anyone who has ever said that prize-winning Washington Post columnist and popular spy novelist David Ignatius is too much of an apologist for the CIA, his new book is a dramatic rebuttal. 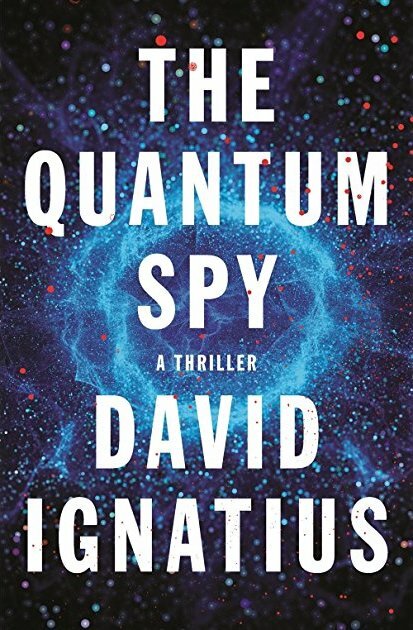 The Quantum Spy is a fascinating, beautifully textured thriller in which the CIA comes across as a racist, sexist institution whose biases play right into the hands of hostile foreign powers ... Ignatius even makes the scientific information on quantum computers comprehensible to the lay reader. Nor is there too much of it ... As entertaining as this novel is, it’s also disturbing in its depiction of racial and gender prejudice in a place where these attitudes aren’t simply unjust; they get in the way of the institution’s worthy mission ... for inside dope on the day-to-day work and personal lives among America’s espionage personnel, Ignatius is unbeatable. Rave The Washington Post ...a timely, affecting, suspenseful and morally complex thriller. In fact, it’s one of the best thrillers I’ve read this year ... This time Child confronts the opioid epidemic, and he does so with keenness, understanding and a burning anger over the scourge’s causes — poverty, hopelessness, war — and the haplessness of the U.S. criminal justice system’s response, or lack thereof. 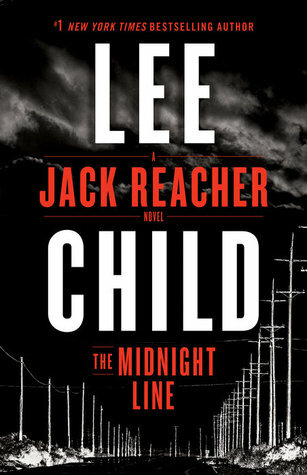 Given the subject, Reacher is more thoughtful and measured than usual, relying more on his wits ... Readers will practically need a GPS to follow Reacher and his posse around the Western plains through parts of South Dakota and Wyoming, and it’s a pleasure to ride along. Child writes beautifully about the vast open spaces of the West, with its physical landscape that’s magnificent but a human landscape that’s often not pretty at all. Rave The Philadelphia Inquirer ...a timely, suspenseful, morally complex thriller, one of the best I've read this year … Reacher is more thoughtful and measured than usual, relying more on wits than fists. Not that fans will be disappointed … It's a pleasure to ride with Reacher and posse through parts of South Dakota and Wyoming. Child writes beautifully about the West, its magnificent physical landscape but often ugly human landscape. We see the daily lives of addicts with heartbreaking exactitude. Officer Sanderson clearly suffered the worst kind of physical and psychic wounds in Afghanistan. Rave The Washington Post It is rotten to the core, as it's convincingly portrayed in a wonderful mystery series that is at once sprightly and densely layered, like the Thais themselves ... Haunts in this third of the Sonchai series acts as both noun and verb ...central crime in Bangkok Haunts is the murder by strangulation of a prostitute whom Sonchai once was nuts about ... What never falter are Sonchai's captivating, sometimes teasing voice ––– he often addresses the reader as 'farang' (the Thai word for Westerner) and Burdett's affectionate take on everything visiting farangs find fascinatingly upside down and backward in Thailand ... 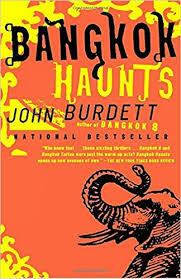 In Burdett's always amazing Thailand, euphemism is reserved for the sinister. 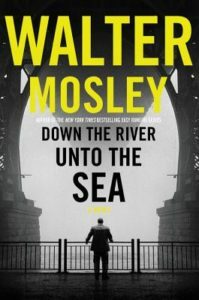 Rave The Washington Post ...what had been mainly a novel about a fractious family and the sources of its pain turns into a riveting legal thriller. The plot twists here are satisfyingly surprising and plausible, but it’s Slaughter’s prodigious gifts of characterization that make her stand out among thriller writers ... Slaughter’s satirical touches are as deft as her grimmer renditions of real life ... 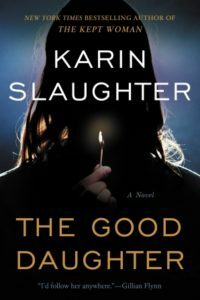 Some readers may find that at 500 pages The Good Daughter is a little longer than it needs to be (Is it mean to fat-shame a novel? ), but if I were to attempt to pare it down, I don’t know where I would start. Sleekness has its virtues but in Slaughter’s big tome neither does there seem to be a word wasted, which is quite a feat. Rave The Washington Post ...emotionally gripping and hugely satisfying...Furst is a relentless and exacting researcher, and other memorable scenes are of hair-raising air battles over France; attempts to land small British rescue aircraft in farmers’ fields; sneaking demolition artists ashore near a casino in Deauville to begin the work of disrupting the machinery of the occupation. 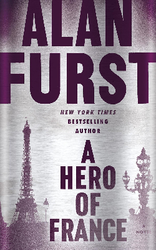 It is dangerous work every minute of every day, and not all cell members survive...Furst rolls all of this out with his usual steady-as-she-goes pacing and a prose style that nicely mixes the elegant and the matter-of-fact.